Hiking in the Etnefjellene mountains. When winter finally releases its grip on the Norwegian mountains, outdoor enthusiasts can’t wait to put on their hiking boots and take off to discover the wild landscapes all over the country. If you don’t want to meet too many people along the way, the following five hikes are just for you. The beauty of famous trails and attractions like Besseggen, Preikestolen, or Trolltunga, lure many tourists into exploring Norway’s hiking trails. It can be crowded at the most popular sites during the high season, but there are alternatives if you’re looking for genuine experiences in areas where you will probably not meet another human soul. If you follow one of these five lesser-known hiking trails, you will most likely avoid the crowds. Valle and Bygland are both situated in the Aust-Agder county in Southern Norway. The area offers plenty of panoramic views to the many crystal-clear lakes and streams that are scattered around the beautiful undulating terrain of the Setesdal valley. You will also meet quite a few sheep along the way, grazing the terrain and preventing it from overgrowing. You’ll need three days on this classical hike between the cabins of Øyuvsbu, Tjønndalen and Gaukhei, which all offer plenty of space. If you want to use public transport, take the bus to Langeid in Bygland. 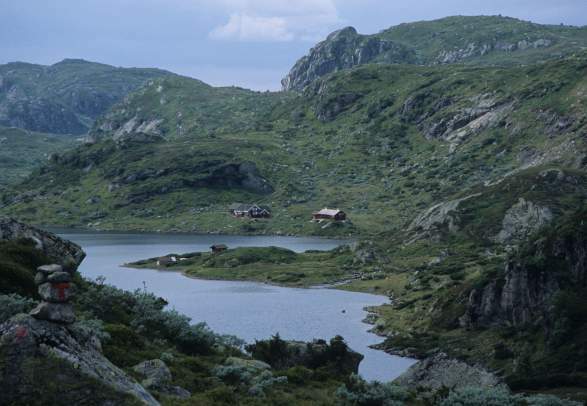 From Langeid, it’s about a two-hour hike to the Tjønndalen cabin where you can start and end your trip. If you arrive by car, leave it on the parking lot on Suleskarvegen. From there you will walk to the Øyuvsbu cabin in about half an hour. 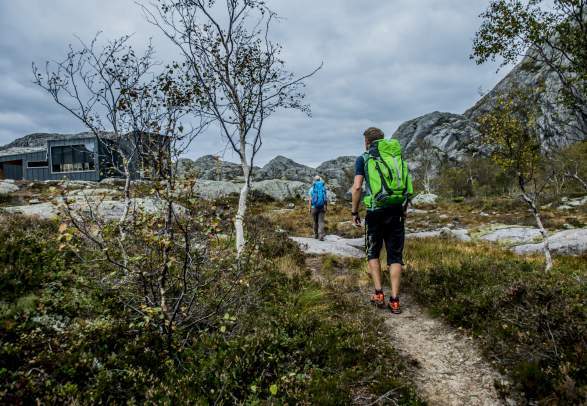 Throughout the Setesdal valley, there are excellent opportunities for hiking. Whilst exploring the Sunndalsfjella area between Dovrefjell and Eikesdalen you can admire the magnificent views over high alpine peaks and lush valleys. The region features some of the most diverse mountain flora throughout Scandinavia, with plant species that normally only grow in Northern Norway or on Svalbard and Greenland. This area is also the habitat of Arctic foxes, reindeer and more than 160 bird species. 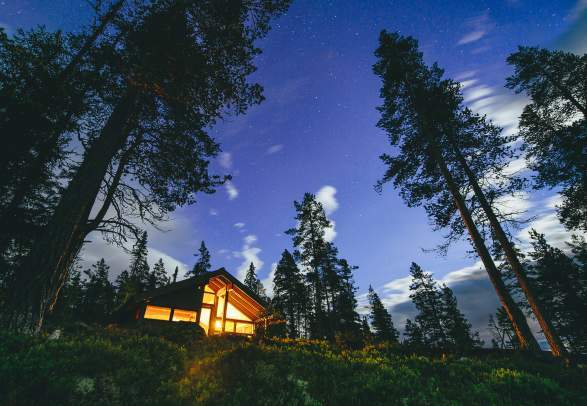 The staffed lodge Aursjøhytta offers great service and a three-course dinner, whilst Reinsvassbu and Raubergshytta are self-service cabins equipped with all you need for cooking and sleeping, including affordable food. The hike starts at Lesjaskog, which you can easily reach by bus or by car from Åndalsnes or from Dombås, depending on which direction you come from. Three days of hiking near and across the Swedish border. This journey will bring you over the incredible Sylan mountain range and its highest point Storsylen. Enjoy the wide views and high peaks rising up from the barren and rocky plains. The terrain is easy to walk in. The Norwegian Trekking Association operates the cabins at the Norwegian side of the border, whilst the Swedish Trekking Association operates Sylarna Fjällstation in Sweden. The largest city in the area is Trondheim. From there you can catch a bus to Stugudal and then a taxi to the Nedalshytta cabin, the starting point for this hike. Trøndelag offers hiking in the city, along rural roads, in the forest and in the mountains. During this hike you will experience a varied landscape, going from bare mountains to beautiful forests and pristine lakes. The last stretch of the hike offers a magnificent view on the Åkrafjord and the Folgefonna glacier. You can spend the night at the comfortable self-service cabins Simlebu and Sandvasshytta. 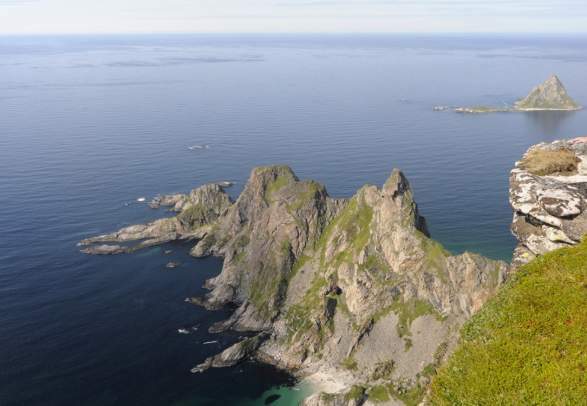 In both Rullestad and Markhus, where the hike starts and ends, there are bus connections with Haugesund and Oslo. Make sure to check the bus time table in advance. This hike is perfect for those who wish to see a lush area in Northern Norway and at the same time experience a part of the Grensesømmen trail. You’ll hike through the Junkerdalen national park where you’ll get great views of mountain peaks, lush forests, and beautiful lakes. This area is also known for its rare plant species that are usually only found further north or on other continents. You can take a bus from Bodø to Sulitjelma. To get back from Graddis Fjellstue (close to Trygvebu), take a bus or taxi to Storjord and from there a train or bus back to Bodø. 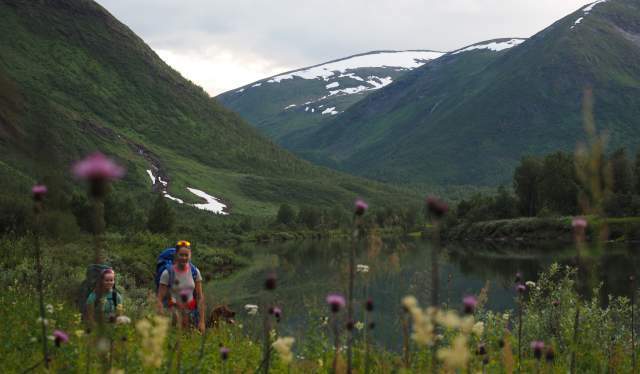 The Norwegian Trekking Association presents their favourite iconic mountain hikes in Norway.